PERTH Glory has signed Romanian defender Lucian Goian on a short-term player contract as an injury replacement for the remainder of the A-League season. The 34-year old experienced central defender headed to Perth after playing for Mumbai City in the Indian Super League (ISL) where he was named in the league’s best 11 and was also voted as the league’s best defender. Having represented his native Romania at under-21 level, Goian comes from a rich pedigree, playing for local powerhouse Dinamo Bucharest, winning the Romanian League Championship, the Romanian Cup and the Romanian Supercup. 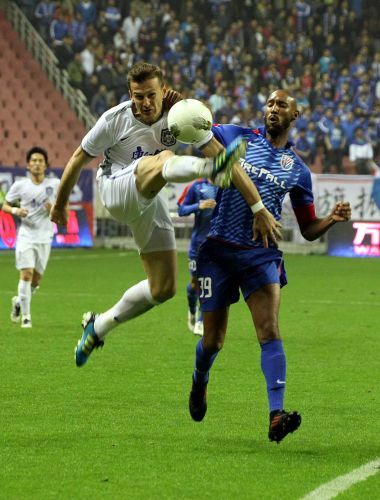 Prior to his ISL experience, Goian played 73 matches in the Chinese Super League with Tianjin Teda and Beijing Baxy before returning to his homeland to play for two more seasons with FC Bracov and CFR Cluj. Goian has been signed following season ending injuries to Glory defenders Shane Lowry (quad) and Alex Grant (foot). He has arrived in Perth and has commenced training and will don the number 26 for the remainder of the season. Goian is expected to be available for selection for this week’s round 24 A-League match against table leaders Sydney FC at Perth Oval on Sunday.